Stampin Anyone? : The CATALOG is HERE! I am so excited to share this Catalog with you! Go NOW, grab something hot to drink and click on the picture, this will give you the catalog as a PDF! I just can't stop doing the "HAPPY" dance! Every year Stampin' Up! puts a small recipe on what items were used to make different projects in the catalog. If you see something you want to make, click here to get the recipe of what they used. This is the carry over items for the Holiday stamps. They will be available to order until January 4th, 2015. Please click here to take a look. I love the Spanish Catalog. It has some great stamps in there. 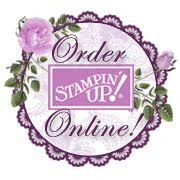 I love the fact Stampin' Up! makes it possible for every to LOVE SU no matter what language you speak! This is so wonderful. Please click on the photo to drool at all the new stamps available. Please click here to see the supplies used to put these projects together! I am here to be your personal shopper! 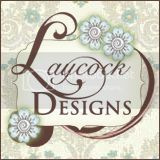 Give me a call, shoot me an email, or order online...I am here for you!